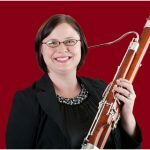 Ben Yingst currently plays second bassoon in the Tucson Symphony, is the bassoonist in the TSO Woodwind Quintet, and also frequently plays with True Concord Voices & Orchestra. He has played music since he was seven years old. He studied several different instruments before deciding to concentrate on bassoon in high school. During that time he played in multiple groups of the Phoenix Symphony Guild Youth Orchestras. He later earned degrees at Arizona State University and the University of Southern California on bassoon. His principal teachers have been Jeffrey Lyman, Judith Farmer, and Bonnie Wolfgang. Previously he has played in the Young Musicians Foundation Debut Orchestra in Los Angeles, the Scottsdale Arts Orchestra, the Orquesta Sinfónica UANL in Monterrey, Mexico, and the West Valley Symphony in Sun City. Ben has also made appearances with two different chamber groups in the Phoenix area: the Paradise Winds and the Mill Avenue Chamber Players. He is often called upon to play chamber music several times a year throughout the Phoenix and Tucson areas, as well as subbing in the Phoenix Symphony. Besides his performing duties, he has previously held positions as teaching assistant at Interlochen Arts Camp in Michigan and bassoon instructor at Glendale Community College in Arizona. 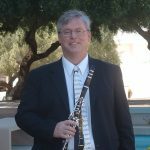 He is currently a faculty member for the Arizona Chamber Music Experience, an annual summer chamber music workshop in Phoenix. When he has spare time from preparing for performances and auditions, he sometimes likes to make and record chamber ensemble arrangements of some of his favorite bands, most notably Dream Theater. He spends a good deal of time reading (he also reads fairly well in Spanish and German), and enjoys hiking, bicycling, and bowling.